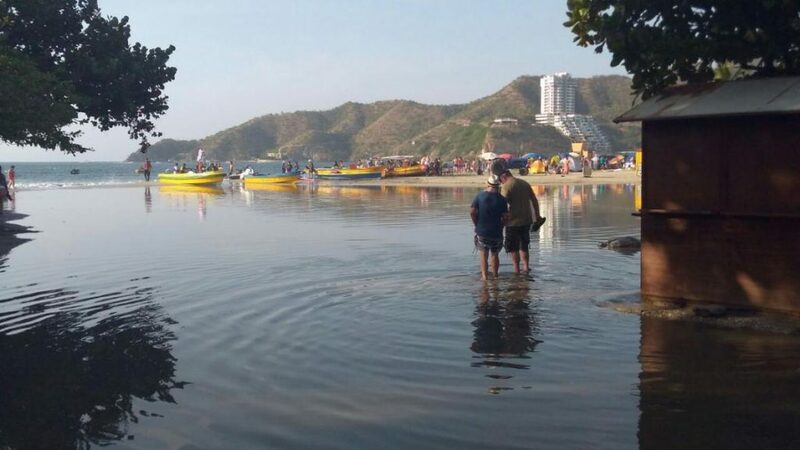 A strange and surprising phenomenon was registered on January 5, 2018, in the tourist resort of El Rodadero in Santa Marta, Colombia where giant waves flooded the beach like a tsunami, baffling hundreds of people who were sunbathing at that exact same time. The weird event occurred unexpectedly, without previous notice or signs. 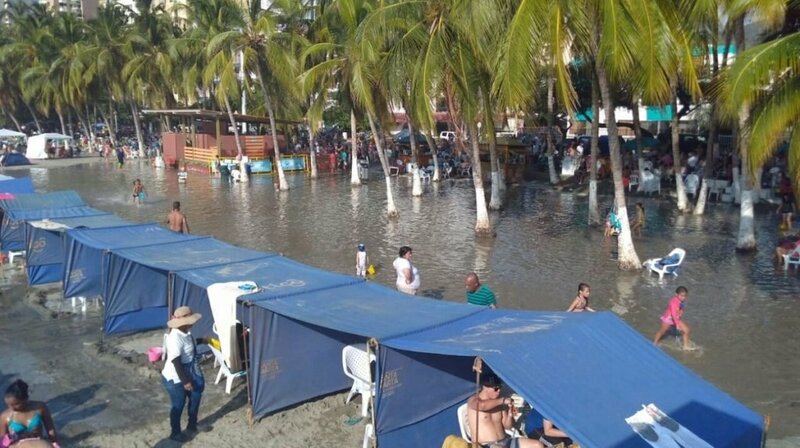 These days El Rodadero is completely full. 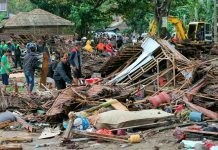 In July, a similar phenomenon occurred and was called a ‘mini-tsunami’ by authorities. 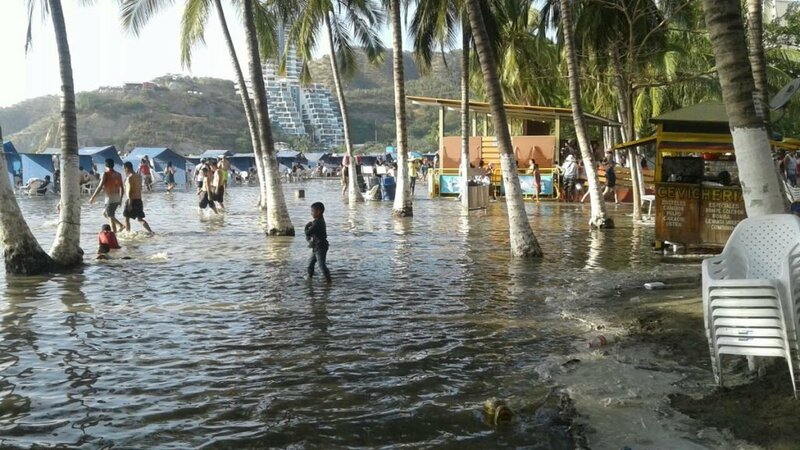 The water reached the tent area of the beach and scared those who enjoyed the sun as a giant wave surprised hundreds of tourists who enjoyed the sun and the sea at the tourist resort of El Rodadero, in Santa Marta, reaching the pier about 20 meters from the shore. 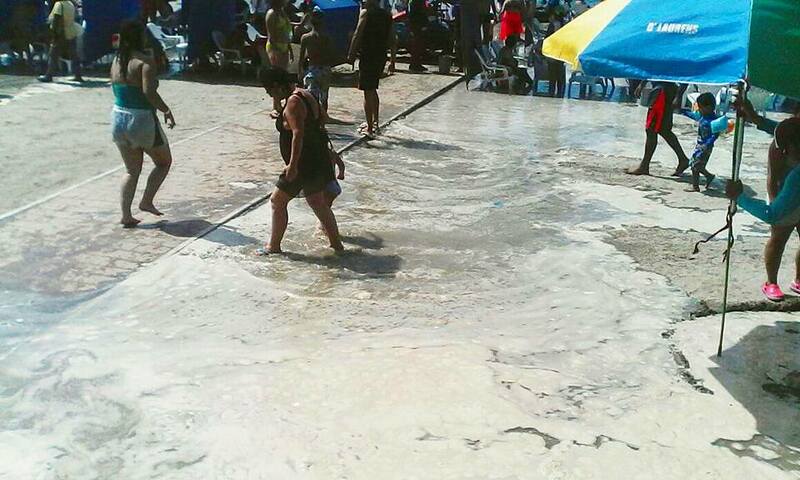 Officials explain this weird phenomenon as a result of a low pressure center. 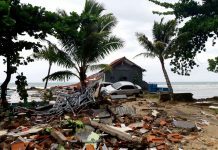 The same abnormal swells have been reported along all the beaches in the area. 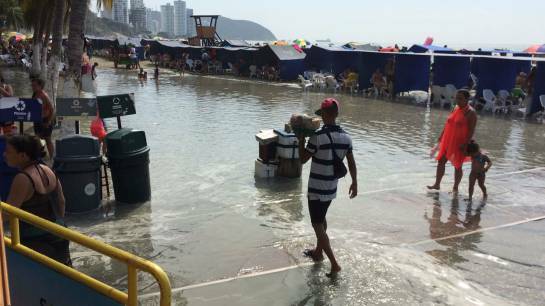 Playa Grande and Playa Blanca have even been evacuated. 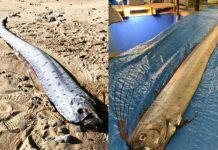 In Ecuador, the ocean disappeared suddenly leaving fishermen baffled on January 3, 2018. Two Super moons this month!